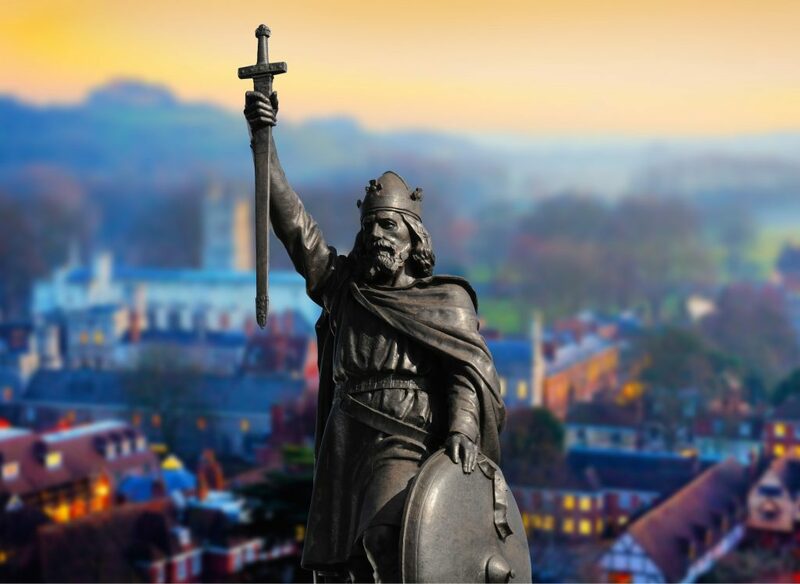 King Alfred will be your constant companion on this tour of Winchester’s historic landmarks. You’ll learn about the earlier history of Winchester and how it has evolved in more recent times. The walk is divided into three loops so you can choose how much to do: in each section you are following in the footsteps of the king they called ‘The Great One’. So set out from the famous statue of King Alfred on the Broadway to trace the walls he repaired to keep the Danes at bay and the streets he laid out in the 9th century. The three loops explore the heart of the ancient capital, the upper city and Alfred’s final journey, leading to his resting place in Hyde Abbey Gardens.